A reprint! 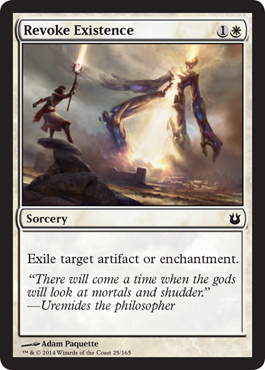 Last time we saw this we were in Scars of Mirrodin, and then it showed up in the Venser vs. Koth Dual Deck. Perfect for this block, of course. Turn 3: Mountain, Searing Blood, and Shock. Blistercoil attacks for 3, 5 damage to opponent, and an X/2 and X/3 creature are also now dead. Turn 4: Do it again, or something like. Turn 5: Finish the game. 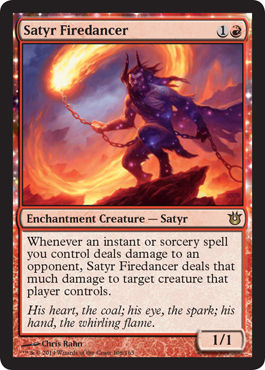 Wizards likens this to a better Gilded Lotus. 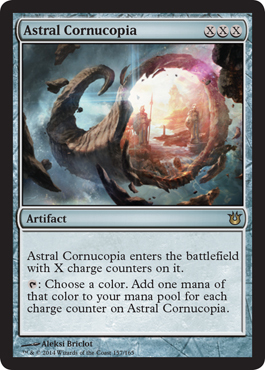 That is 5 mana for a Tap for 3 mana of any one color. This time, you'd need to pay 9 mana, but each one could be different. More for EDH if you ask me, but maybe there's something in Standard for it. Easiest to pull off is X=2 so you only pay 6. But... still that's a bit much. Judge for yourself, but I don't see the purpose of using this.